The engine is always running for Tonja Smith, GCU’s corporate travel manager and senior event planner. There is no “off” switch. It’s running when she shows up for work at 5 a.m. in Annex II, ready to jump on the phone and dash off emails from her cubicle. It’s running when she’s talking to you and her Blackberry never stops detonating, like firecrackers on the Fourth of July. On this point, everyone at GCU agrees: Without Smith in at-the-ready mode, moving about the country would become exponentially more difficult. “The thing that’s unbelievable is that she’s always available — and it’s for anybody,” says Dan Bachus, the University’s chief financial officer. “If it’s 8 at night and you have a travel problem, she answers her phone and fixes it for you. Smith, 40, a Phoenix native and mother of five, came to GCU six years ago when a friend told her the University needed someone to book events for online marketing. She had been in the travel industry for 15 years. Imagine her shock, then, when she learned that no one at GCU oversaw travel. There wasn’t even a travel policy on file. Everyone bought their own plane tickets, booked their own accommodations and submitted receipts for reimbursement. “This is like a free-for-all,” she remembers thinking. Before long, she had taken charge and begun to sort things out. Although GCU saw a boom in travel in 2006-07 by its staff and athletic teams, Smith found ways to actually save the University $300,000 during that period. “I always knew how to negotiate numbers because I’m cheap and I’m frugal,” she says. “For example, I’ll always book with a carrier where we can reuse the money. I realize that some things truly are last-minute. But I think of things the normal person doesn’t think about. Another thing about Smith: She works fast. Really fast. As the GCU women’s basketball team was wrapping up a second victory in the West Regional in Pomona, Calif., last month, she was already working on arrangements for a turnaround bus trip two days later for the championship game. By the time Antelope fans had returned to Phoenix, they knew all the details. In performance reviews, her supervisors have shown concern about her family-life-work balance. Now that she has an assistant, Bill Hutter, things have settled down. A little. Don’t get her wrong. She loves her job and wouldn’t trade it for anything. “I wear a few hats, but I wouldn’t know how to wear just one,” she says. “I thrive off of being busy. I like to find a rock in a pile of dirt. Tonja is aweseome, and bailed me out a coule of times with travel issues too. She is always a pleasure to work with, and a great representative of GCU! Tonja is a Blessing to all of us! She takes the stress out of traveling. She is truly my hero! Tonja is an amazing lady, who always delivers more than expected. She is a true GCU treasure. Tonja is such an asset to GCU! She represents everything we want in the best of our employees and goes above and beyond each and every time. She is always the woman with a solution and there for you EVERY single time. Much deserved praise Tonja! Tonja is not only amazing at work but also at home and in the community. I have had the pleasure of working with Tonja the last couple of years. I loved the energy and enthusiasm she brings to her job. Tonja is always seeking the best options for Grand Canyon University when it comes to efficiency, traveler safety and pricing. The University is luck to have such a dedicated professional representing them! 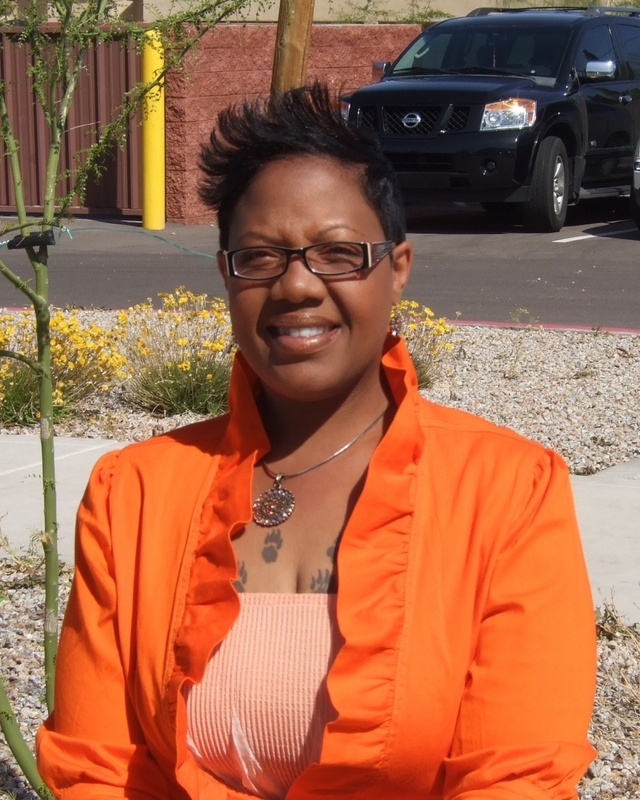 It’s amazing how available Tonja Smith is…in all my time here in GCU’s Tribal Affairs dept. I’ve only left one message for her. She called me back within minutes with details on my travel. Thank you Tonja!